One of the saddest and most demoralizing events is the death of a dog, and it's the time we need to look into getting the best dog caskets for pets burial to ensure we say goodbye in a proper manner. No dog owner will disagree that it’s heartbreaking and often feels akin to the loss of a family member. Part of the grieving process is a dog funeral. Funerals provide a sense of closure and are a way to symbolically send off an old friend into doggy heaven (or wherever you think dogs go after death). Funerals are a part of the grieving process that we go through for humans, so it is only fitting that our burial methods extend for dogs as well, seeing as how they are man’s best friend. Of course, no funeral will go without proper preparation and this list of best dog caskets for pets should come in handy for those looking to say farewell to their pets in a humanely way. Dogs are man’s oldest friend and history has shown that. A research team consisting of Americans, Russians, and Europeans found that dog companionship dates back thousands of years. One of the most famous dog burial sites is in Siberia, in the eastern Lake Baikal. Even though they didn't have any dog caskets for pets burial, hunter-gatherer societies placed great importance on their dogs and buried them in traditions rivaling those of humans. The burials themselves revealed a lot about the dog’s importance to humans in terms of companionship. OVERVIEW: This best dog casket is handmade and runs for about $500. The craftsmanship is extremely high quality. The dimensions of Paws Rest Premium Pet Casket are 40 inches long and eighteen inches wide. It is large size. The casket is 15 inches deep. It can fit dogs up to ninety pounds and the outer poplar wood is a beautiful cherry color. It has crafted handles and the inside is composed of a soft velvet interior with a matching pillow. The interior of the lid is ruffled and the sides of the casket are hand-carved. It’s a very beautiful dog casket for the burial of an old friend. Paws Rest Premium Pet Casket is the first on the list of best dog caskets for pets because it appears to be very sturdy and the casket itself is easy to carry. A few customers did have an issue with the internal lining of the dog casket, claiming that there was no seal to keep the pet casket door closed. One advised that you take foam seal tape to ensure that the casket remains closed and fastened tightly. The summation of the reviews was stated eloquently in one customer’s response to the company. She stated, “Despite my loss of my best friend, I am comforted that she was placed in such a beautiful casket that showed the love we had for her.” It is a high-quality piece that will serve you well in such a difficult time of mourning. OVERVIEW: Pet Memory Shop Casket comes in different color combinations and selections. It comes in black and gold, black and silver, white and pink, or white and blue (the first colors, white and black, being the outer wood). Pet Memory Shop is a company dedicated to helping you memorialize and remember your beloved friend as you lay them to rest. The casket is composed of polystyrene, a material that is resilient and high-impact. It is coated in a protective covering to prevent dirt or debris from negatively affecting the exterior of the dog casket. The inside contains a lace coverlet, pillow, and a plush mattress, all of which are made of satin. The casket also contains double-sided sealing tape that ensures the pet casket stays shut and is resilient against any damage. This casket runs at $210 list price. The interior dimensions are 32” by 16” by 11” for a large, 24″ by 12” by 8” for a medium, and 18” by 10” by 8” for a small. The large size can accommodate a maximum of 110 pounds, the medium 65, and the small 40. WHY IS IT AT #2? We chose to put Pet Memory Shop Casket second one of the best dog caskets for pets because although it was certainly beautiful and resilient, some people would prefer the casket to be made of a wood material, not polystyrene. For customers that chose this dog casket and had no wood preference, the polystyrene was a benefit to them. The material is extremely durable and you can sleep soundly knowing that your pet is well-protected from the elements. It is not biodegradable and is air-tight and water-tight. The adhesive roll is included in the purchase, so you can use it to achieve the level of sealing you desire for the casket. This casket is one of 1,500 ways of remembrance that the Pet Memory Shop provides. Customers were pleased with how beautiful this pet casket was. The colors are soft and pearly and are both respectful and fitting for the pet’s burial. One customer summed it up when she said, “I am completely satisfied with my purchase.” It brings a peace of mind to pet parents knowing that their beloved animal is being paid to rest in a casket as beautiful as they are. Though the price may seem a little high, it’s what you pay for good-quality, which is what this casket is. OVERVIEW: This casket is created by the same makers of the dog casket we just displayed on our list in the #2 spot. Pet Memory Shop Classic Burial Casket is a little less formal in appearance and comes in the same color combinations as the last dog casket on the list of best dog caskets: white and pink, black and gold, white and blue, and black and silver, with the outer part being either white or black and the inner being the different colors. The interior contains a lace pillow and a mattress. The mattress is plush and the pillow and mattress covering are both satin. This pet casket is made in the USA and comes in the sizes small, medium, and large. The large dimensions are 32″ x 16″ x 11″, the medium 24″ x 12″ x 8″, and the small 18″ x 10″ x 8″, with maximum weights of 110, 65, and 40 pounds respectively. The casket is non-biodegradable, air-tight, water-tight, and comes with an adhesive sealant so you can ensure that your pet is well-protected from the elements. The exterior is shaped very simply. The appearance of this casket is a simple one, and the external material is durable polystyrene. WHY IS IT AT #3? Pet Memory Shop Classic Burial Casket is third on our list of best dog caskets for pets because it is less formal than the other two, though it is still quite nice. The list price is $180. Customers were very happy with this casket’s appearance (as happy as they could be, anyway, considering the circumstances). The silk gives this casket a formal look and it is a dignified and respectful piece of equipment that owners can appreciate. Although this was a sad time, purchasers found that their sadness was eased with the knowledge that they were protecting their dog’s welfare and dignity in death. The casket also was easy to carry, so funeral arrangements would be carried out with as little stress as possible. Customers also found that this company treated them and their beloved pets with as much respect as possible. One customer, whose purchase was held up in customs, was impressed at the level of professionalism the company showed in dealing with the issue. With this casket, you’ll be confident that the sealant and the quality are durable and built to last through any conditions. It’s much less stressful when you don’t have to worry about logistics and the preservative qualities of the casket. All you need to do is focus on your grief and the memory of your beloved dog. OVERVIEW: This beautiful casket sells for $390.00 at sticker price, though on Amazon you can purchase it for less than half that. Deluxe pet burial casket is composed of solid hardwood with a light finish. It also has a biodegradable composite board, making it good for the environment when you place it in the ground. Though that is biodegradable, it is still secure and won’t deteriorate in the ground. The outer board is biodegradable, but the hard wood will stay sturdy. 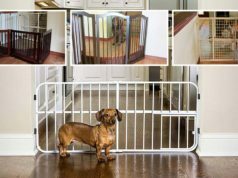 The environmental protection aspect is an attractive one to pet owners that want to provide their pet with a resting place that will be environmentally expedient and non-damaging. The dog casket is made with a special waterproof treatment and is resistant to deformation. It is light weight and easy to carry. The dimensions are 25” by 11.25” by 8” and it only comes in one size. The lining on the interior is light blue silk and it comes with a pillow. The clasps on the outside are ornamental and the casket comes with free shipping as well, which is convenient. WHY IS IT AT #4? We chose to rank Deluxe dog casket for pets as fourth one of the best dog caskets for pets and not higher because of the size constraints. The pet coffin only comes in one size and that can be inconvenient for people with dogs that are longer than the two feet in length that the casket gives you. The lack of variability was what placed this casket at fourth, not for any reason relating to quality. Customers who purchased this dog coffin for their smaller-sized dogs were impressed at the quality and were pleased with the environmentalism of the casket. Also, the free shipping was a plus. People initially expressed reservations about the “biodegradability” feature of the casket, especially since no one wants to picture their casket decaying in the ground. But that fear was unfounded, as the casket was very durable and water-resistant. The dog casket’s clasps were also reviewed as being beautiful, yet sturdy. The light blue silk was a beautiful touch, modest and respectful, yet pretty. Another thing customers were pleased with was the way the company conducted itself, with one reviewer claiming that, “The owner is top-notch.” The company is respectful and appropriately solemn in such a time of grieving and loss and they work to resolve any product issues in a timely, prompt fashion. OVERVIEW: This pet casket is not one for flair or flash, which makes sense considering that it was created by Amish craftsmen. For those unacquainted with Amish work, it is some of the best in the world. The Amish are excellent woodworkers and this casket for dogs is proof of that. Pinnacle Woodcraft Pet Casket is made of oak wood with a clear finish. It costs $159.00, which is a bargain for such fine work. The stain is furniture grade and high-quality and the coating is also durable as well. There is no silk lining or any ornamentation on this casket. The closest thing to ornamentation might be the brass handles on the sides. The dimensions are 24” by 15” by 9” and it is therefore best for smaller-size dogs. The maker does customize caskets, but he charges $25 extra. The bottom is constructed of oak plywood as well and it will hold up in many different conditions. WHY IS IT AT #5? The reason we chose to put Pinnacle Woodcraft Pet Casket last on the list of best dog caskets for pets does not have anything to do with quality of the wood. We put this last because there isn’t much that comes with it. It really is just a plain box. But actually, that’s not a bad thing if you’re the type of owner that would get creative with this. The lack of lining or pillow gives you more room to bury your dog with his or her favorite blanket or stuffed animal. You can place toys and remembrances in the box, capitalizing on the space that’s provided there. Consider the exterior a way to show off your dog’s life and memorialize him or her that way. A craft idea for this box pertains to the interior of it. On the inside, you can decorate it with paint or other art materials, almost as a mural to send off your dog in. This box is for someone who doesn’t prefer much flair or wants to customize the product themselves, which is also an understandable approach. Customers overall were quite satisfied with this company and the way it conducted itself. The manager was respectful of grieving owners and worked tirelessly to get the orders in. The customization fee isn’t bad, either. Amish craftsmanship is on display in this casket. It is a high-quality, durable dog casket that will protect your pet and keep him or her buried with dignity. Most dogs were commonly buried with toys and laid in a sleeping position. Often, humans chose to be buried alongside their dogs. Dogs were given pendants of deer’s teeth to honor their legacy as hunters. They were buried in those pendants. In the Eastern world, burials of dogs were carried out with the same acumen as time progressed. Turkey had a temple, Gobekli-Tepe, which was a burial place for dogs since 12,000 BCE. Researchers believe that the bond between man and dog started in East Asia about 32,000 years ago when wolves’ temperaments because to transform from hostile to more docile (not all, of course, and many times humans had to kill wild wolves that threatened them). These docile wolves came in contact with humans and at first stayed on the edges of their camps, hoping to catch scraps and leftovers. This avoidance receded after a while and dogs and humans formed a mutual bond. Dogs would help humans hunt and, in exchange, humans would keep dogs safe. The ancient dogs in the Sumerian world were given special assignments such as the protection and service of the families to whom the belonged. Dogs would protect the herd and defend their loved ones against any wild animals. Cultural epics, such as India’s “The Mahabharata,” depict dogs in a role of friendship with humans. Since those ancient times, companionship has continued and dogs take part in human rituals now, including the ones that are meant for grieving. Humans, in exchange, seek out things like the best dog caskets to make sure that everything goes according to the ritual. It works both ways. When dogs lose a human, they often are inconsolable. Dogs that lose owners to combat, for example, grieve the way humans do. It’s been shown that dogs have a memory for us, as we do for them. The Dog Project, a research endeavor, sought to examine dogs’ brains and find out why they worked the way that they did. It was discovered that they could recognize and remember the scents of other people in the household, even ones that were gone and who didn’t live with them anymore. Man’s oldest and best friend has a relationship with humans that no other domesticated animal can copy or understand. Canines are very unique and often behave like humans as well, which is why they deserve things like great toys, tasty treats and the best dog casket to say farewell in. It’s important to honor them the way we would if any relative or fellow person we cared about died. It’s vital to get closure. Otherwise we’ll find our lives to be impossible to live without our best friends. In the list of best dog caskets for pets below, we’ve listed different caskets for dogs that will help memorialize your pet in a way that is respectful and beautiful. We’ve given you an overview of characteristics of five different best dog coffins as well as what purchasers had to say about them. By providing you with this overview of best coffins for dogs I hope to prepare you for a smooth burial arrangement with no surprises. Look below to see different burial options for conducting your pet’s funeral. How to pick the best dog caskets for pets? The logistics of a funeral are something that not many of us want to think about. Our dog has just died—why should we care about anything else? But unfortunately, the technical stuff does indeed matter because a funeral will eventually have to happen. And part of that funeral is the burial. To choose a casket, make sure you have your dog’s measurements down (width, length, and weight). That way, you’ll be able to know which casket will fit them best and will be efficient. Once you know that, select one that has the most meaningful appearance to you. Some may want the casket to be somber, whereas some might want it to be more ornamental. It all depends on what your dog’s personality was and what you consider to be appropriate. In addition to the casket, there are other things you can do to help memorialize your dog. The ancient humans buried their dogs with toys and other things that they felt their dogs would want in doggy heaven. Do the same with your pet. If you choose to bury him or her with their favorite toy or toys, size the casket so that will fit. Burying your pet with toys gives you some peace of mind that they’ll take that with them to the afterlife (this was the Egyptians’ way of thinking). Another technique that can help you grieve and get a sense of closure is to take a piece of paper and write a goodbye letter to your dog, saying all the things to him or her that you’d like to in your final goodbye. This will help you feel as though your words are memorialized and he or she will always carry a piece of you with them, even as they are laid to rest. From the Stone Age until now, memorialization of dogs through burials has been a commonplace thing. Many owners have gone through the grief that you are going through. You’re not alone. I myself have gone through the loss of a dog when I was a child. It sticks with you for a long time and it’s incredibly important how you choose to memorialize and remember the event. We want to make sure that our readers are aware that we are NOT sponsored by any of the manufacturers and dog companies mentioned in this article. Please note that we do our best to provide accurate information, but we highly encourage dog owners to always double-check other sources for additional tips on best dog caskets for pets so that you can make a more accurate decision of what’s best for you, and your canine. The above overview of best pet caskets for dogs should give pet owners a good idea of best rated dog supplies, but please also make sure that you read the more about top dog coffin reviews from multiple customers before you purchase any dog products. Sometimes, those reviews from pet parents can provide more information than any dog supplies website ever could. 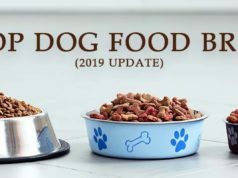 Finally, I hope this list was helpful, and if you tried any of these dog products, please let us know of your experience in the comments below.